God knew that it was something that, at this moment, was more than just a want — it was more of a need. I recently had a 21st birthday dinner with some of my closest friends, and being the lovely, wonderful, especially kind people that they are, they came together to get me something that I had had my eye on for a while: a new Bible. It was the perfect gift. I know... it's not necessarily what many people would think of as a 21st birthday gift. Yet, God knew that it was something that, at this moment, was more than just a want — it was more of a need. Ever since I left Charlottesville and my church family when school let out, I have found myself feeling discouraged and unmotivated when it comes to reading my Bible. Instead of using my newly acquired free time reading my Bible and having quiet time, I found myself being more interested in other hobbies and activities. But now that I have this new (and did I mention, gorgeous) Bible, I have a new excitement to explore it. 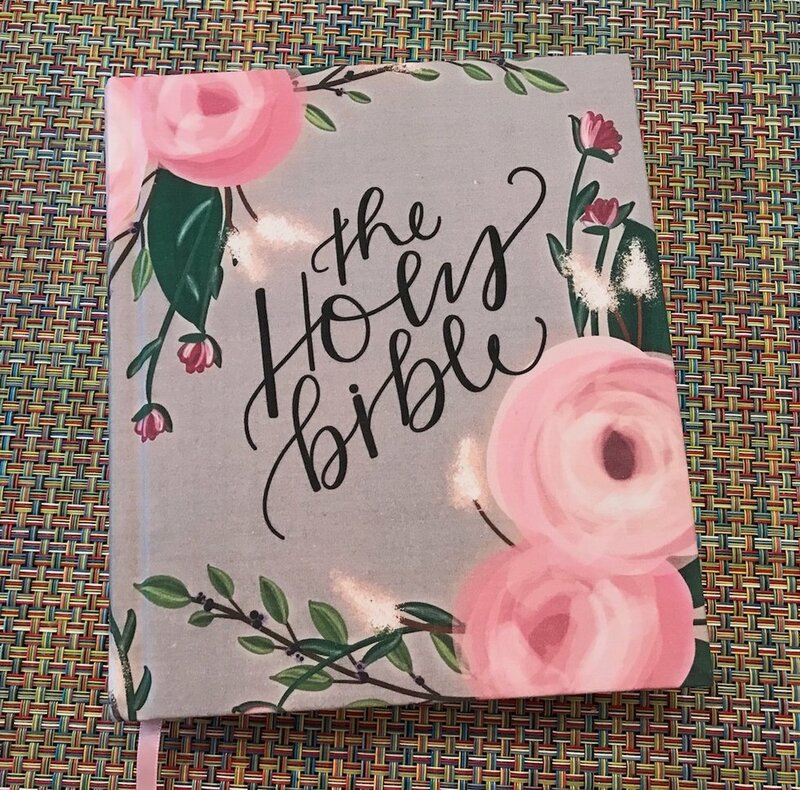 It has wide outer margins where I can take notes or even dabble in Bible journaling if I want to, and it is also a different version (ESV) than my old Bible. These new elements will allow me to do more than just read the Word. It also lets me interact with it, comparing it to my other versions and expressing myself via art. This Bible is new and more sophisticated than my last Bible, and I feel that it fits me as I enter this new year and delve further into my 20s. It makes me excited to explore and study God's word. My 21st birthday gift sparked the stagnant flame in me to be excited to go into God's word... and that's one the best gifts that there is. Even when you feel far from God, He is there, guiding you back to Him, arms wide open with His love and grace.